San Francisco’s grand isn’t it? 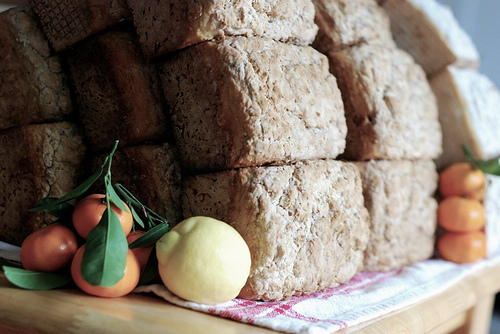 I was at one brunch party being thrown by our friends at the Pedal Inn who are writing a bike touring cookbook, and talking to a different friend, Vanessa, who was telling me about her passion project- baking and delivering gluten free bread by bicycle. 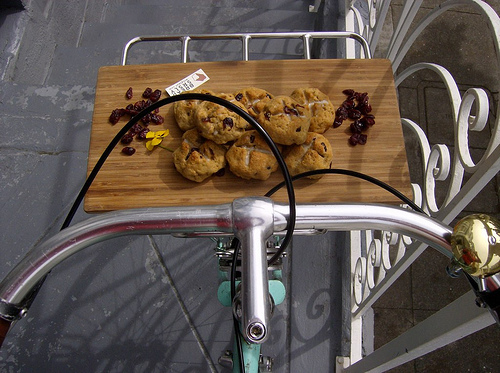 Let’s talk bread on two wheels. Bread Srsly, piloted by Sadie and Vanessa, has had a warm and invigorating reception which is not surprising as there are statistics that say 10% of the population may be affected by a gluten allergy. I personally know a handful of people who have a sensitivity to it. 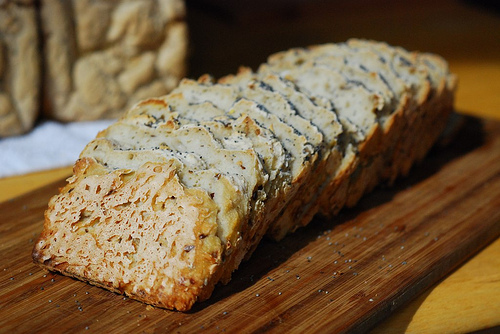 Their Web site explains, “BREAD SRSLY loaves are made with certified gluten free flours, local herbs and home-dried fruits. 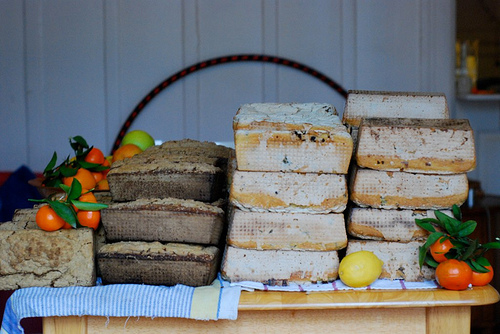 Breads are free of gluten, wheat, egg, soy, dairy and nut.” These loaves are just plain healthy being devoid of the all-too-common wheat products found in the Western Diet, but also wonderfully free of a variety of allergens, and vegan friendly. San Francisco approved, surely. I watched Vanessa build up this bike at the Bike Kitchen, wish I would have been there when Bread Srsly was baking these cookies! Wonderful bread, wonderful people. 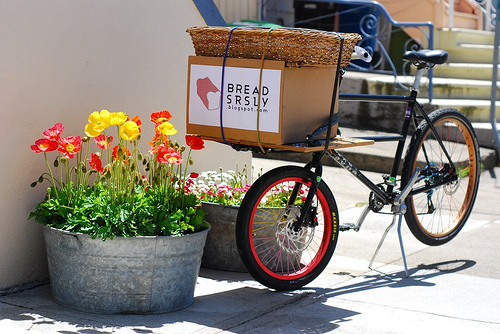 Bread Srsly delivers in San Francisco Tuesdays, and in the East Bay on Thursdays. This week they have myriad delicious sounding choices including Pesto Sourdough ($8), Orange Cardamom ($8), and Zucchini Muffins (1/2 dozen $15.) These reasonably priced loaves are actually priceless for the amount of love baked into them, and pedal power behind their delivery! Support these good people and your health. Photos: All rights reserved, owned by Bread Srsly. This entry was written by LMH, posted on May 29, 2012 at 1:28 pm, filed under Bicycles, Biking in SF and tagged bread, Bread Srsly, delivered by bicycle, gluten-free. Bookmark the permalink. Follow any comments here with the RSS feed for this post. Post a comment or leave a trackback: Trackback URL. I must try this bread. Just ordered my first loaf. Pesto Sourdough, here I come. I HIGHLY recommend the Zucchini Muffins! I can confirm that the Pesto Sourdough is phenomenal after popped in the oven for a few minutes.